Deep clean your pet’s ears to de-yeast and reduce the risk of mange related secondary ear infections. 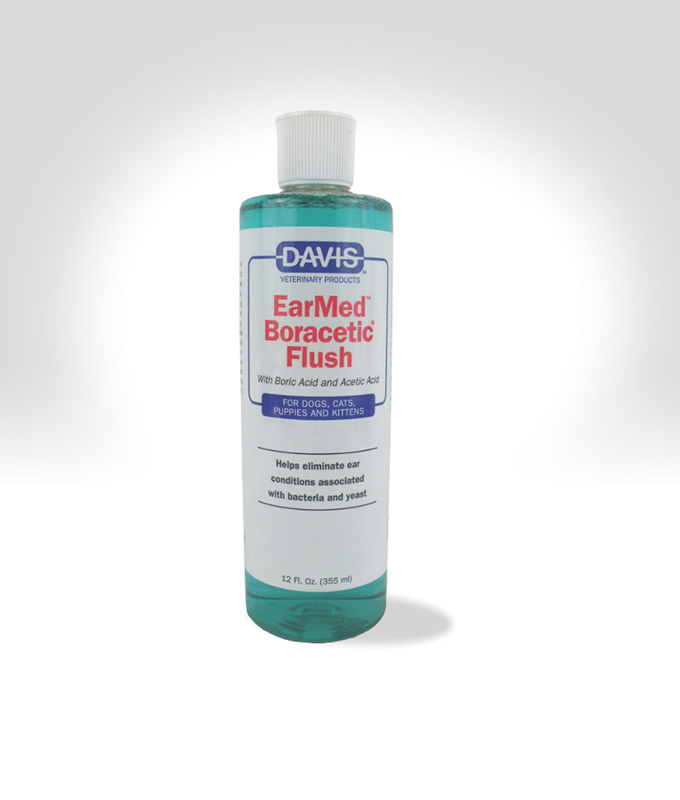 This easy-to-use ear flush eliminates ear conditions associated with bacteria, yeast and fungi. It also provides relief for ear inflammation & pain, discharge, pruritus and head shaking. Great for flushing oily or crusty ears and most importantly — flushing out the yeast that mites feed on. Odor Neutralizing Agents, Boric Acid, Acetic Acid, Aloe Vera, Lan-Aqua-Sol, Propylene Glycol, Cosmetic Grade Dye, Phospholopid Comlex Ethanol, Purified Water. Apply liberally into the ear canal, Gently massage the base of the ear allowing the solution to come in contact with wax or debris. For best results, allow solution to remain for 5 minutes before cleaning. Use a soft cloth, gauze or tissue to remove excess wax and debris. For maximum benefit use 2-3 times weekly or as directed by your veterinarian. Do not use if there is suspected damage to the eardrum. If irritation develops, discontinue use and consult your veterinarian. Using this is an easy way to keep my two German Shepherds’ ears infection-free. I use it at least once a week as maintenance, more if I see them shaking their heads frequently, or if their ears start to smell. Love this stuff!